Welcome to the website of the Hardy Plant Society, Middlesex Group, one of the local groups of the national Hardy Plant Society. We are a friendly group - both of experienced gardeners and enthusiastic newcomers - but we all share an interest in hardy, herbaceous, perennials and enjoy discovering more about how to grow and display these beautiful and varied plants in our gardens. We meet regularly, usually on the first Monday on every month at Field End Junior School, Field End Road, Eastcote. We have a varied Programme of Speakers, as well as plants for sale at our meetings. We also visit gardens, shows and other places of horticultural interest and we organise three Public Plant Sales each year. You can find out more on the Trips and Plant Sales page. New members are always assured of a warm welcome, so why not come along and join us? 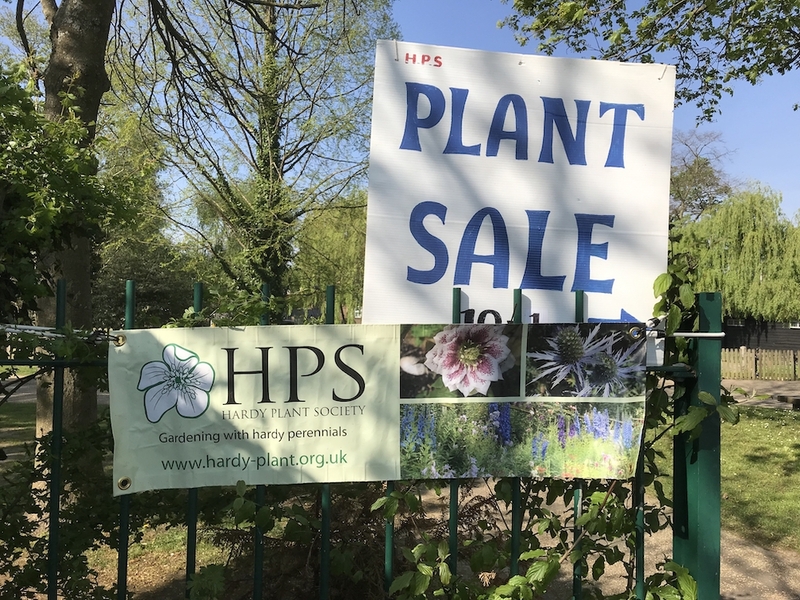 The first of our Public Plant Sales for 2019 took place on a very sunny Easter Saturday. The plants were looking spectacular and there were lots of customers eager to take home a bargain - or two. Take a look at some of the photos of the day here. Our next meeting is on Monday 13th May when James Smallwoood will share the secrets of the beatiful plants auriculas in his talk 'Meticulous Auriculas'. Everyone is welcome. We have also just announced the exciting line up of speakers for Passionate About Plants 2020 which will take place on Saturday 4th April at Brunel University. Read out about them here.